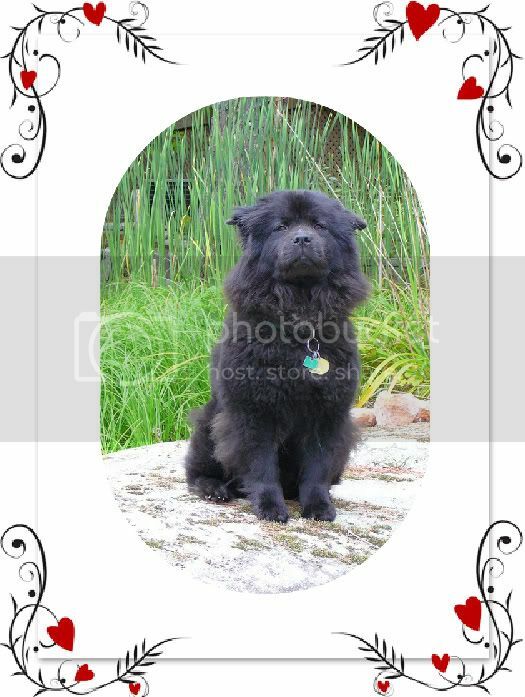 Remember our beloved Chow Chows that have passed on. Linda (Kubbi) who adopted Lakota and renamed her Brandibear, would appreciate it if you could say a prayer for her. Linda took her to the vet because her nose was warm and running a little bit. It turns out she is pretty sick. Her lymph glands are swollen and there is a lump in her lower abdomen. She is having diagnostics done but the best possible diagnosis would be a severe infection of some sort. So prayers for a good prognosis and healing would really be appreciated. Oh my goodness. Prayers and good thoughts. I am so hoping Miss Lakota gets to be the spoiled princess she deserves to be for many years. I'm so sorry to hear that. I'll keep her in my thoughts and prayers. The poor little girl finally got her forever home and now is sick, how sad. We will keep her in our thoughts and prayers. Hang in there and get well soon girl. I hope its just an infection I feel so bad for Brandibear and her new family. We are saying many a prayer for Brandibear and her family. Let's hope and pray for the best. 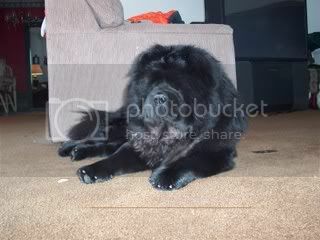 Poor Brandibear, L. after all this chow went through, after all the many here who helped for the chow to find a forever home. i will say two prayers, one for Brandibear and one for Sullivan too. Oh, I do hope it is something easy to cure for poor Brandibear. It breaks my heart. I will say a prayer and hope it's nothing serious. They took her in quick so hopefully they can treat it with meds. I am also hoping this is not serious. Brandibear deserves to be with her family longer after all she went through. Remember this, and also be persuaded of its truth - the future is not in the hands of fate, but in ourselves. is there any news on Brandibear? We sent some samples from her lymph glands to perdue & won't hear anything till maybe Monday. The vet has a gut feeling it's lymphoma but also said there are a lot of other things that cause lymph swelling. little BB's blood panel was all over the place- she has been very sick for a while but is actually compensating well. We put her on antibiotics in hope that is is a bad infection. The antibiotic works on Lymes & Rocky mountain as well.. just in case. It's an awful feeling waiting for news you may not want to hear. There was a lot on the slides and my vet couldn't say in 100 % certainty that it was lymphoma. If it still comes back inconclusive we will start Prednesone to keep her comfortable. Chemo would proably be too hard on her. I am thinking and praying for Brandibear. Monday does seem like a long time to wait. I hope it is only an infection. I'm sorry for the sad news but thank God she is in a loving home with people who care. you and she are in my prayers. Definitely let us all know what her test results come back as. Poor Brandi and poor Kubbi. Praying for the Best ! 50-75 % go into remission and usually for 6 months. We just don't feel she's ready to give up so neither are we. I'm so sorry you and Brandibear have to go through that. Do you know if the hospital has a paypal account, or do you? Or can we make donations through this site to be sent? I am so sorry to hear that it is serious. I hope the chemo will stop it and that she will go into remission for longer than expected. I will help as much as I can. My prayers are with you all and for BrandiBear. In Loving memory of Catbalou, Teisha, Tiara & Quoncha. .
Linda says Brandibear is doing well on her chemo and is eating very well. Thanks for the link. I hope Brandibear continues to do well. I just read Bradibears story.I am so sad you all have to go thru this.she just found her forever home and was she a lucky girl to have found you. God Bless and sending prayers to you both. Brandibear looks really good! I'm glad the treatments are helping! !